PET (polyethylene terephthalate) is now pretty much the plastic of choice for bottles, food packaging and, in recycled form, for fabrics, soundproofing and other applications. it has a lot of positive characteristics but it has also had a few restrictions, as well. It has not been thought of as suitable for tight radius solutions, nor for sharply-defined corners. That is, until R&D/Leverage’s UK operation in Nottinghamshire decided to showcase its talents in the most challenging way it could. Its “ICE” bottle is cuboid, has very tight radii between its ribs and buttresses, and has a thick base, as well. 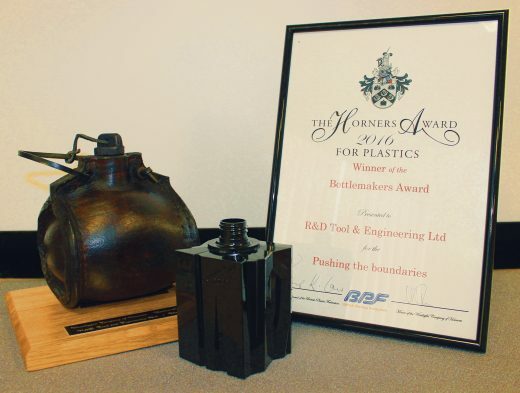 The company’s ingenuity in rising to seemingly impossible challenges has been recognized with the 2016 Horners Bottlemakers Award in a competition run jointly by the Worshipful Company of Horners and the British Plastics Federation. The Horner Award, which was first presented in 1947, is believed to be the oldest plastics award in the world. It is given annually for entries demonstrating innovation in plastics design and manufacture or in processing plastics. It is entirely appropriate that R&D/Leverage should receive the award, as it has moved from being a straightforward tooling supplier to taking a lead role in the design and development of plastic packaging and the supply of tooling to produce it. The company now works closely and collaboratively with brand owners to provide solutions to the single stage blow-moulding industry, using PET, PP, PLA and Triton, Eastman’s trademarked co-polyester. For a long time, its role was to take instructions and specifications from customers, build tools to their precise specifications and ship them, without 100% ownership. All that is changing, fast; it is leaving the traditional toolmaker role behind. R&D/Leverage was established as DK Moulds, a toolmaker, in 1984, and was acquired by US Company R&D Tool & Engineering in 1995. 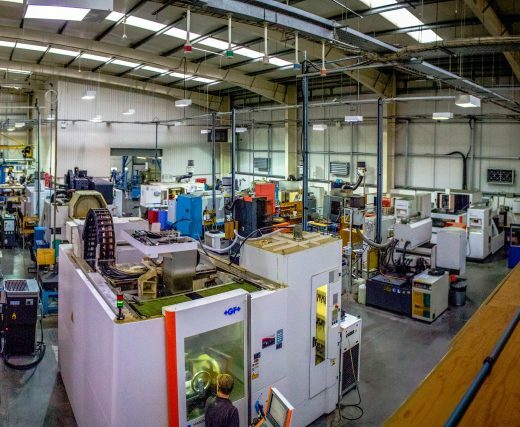 Its strategy to move from being a contract toolmaker to offering a complete service of design, development and packaging really gathered steam when, in 2012, it acquired premises adjacent to its existing Nottinghamshire facility. The new building became the Product Service Laboratory (PSL), which was officially opened in 2015. Its a secure research and development environment that is fully equipped to confirm the feasibility of bottle and jar shapes, effect market evaluations and undertake short-run production for line, filling, labelling and capping trials, as well as tooling qualification and process validation. The UK company’s five-year plan is intended to take it further along the value stream and for it to become more clearly a collaborative partner, working with brand owners to turn their ideas and objectives into concrete – or rather, plastic – reality. “We being by engaging in an upfront evaluation, then we design, manufacture and test the tooling,” he continued. The company has similar equipment to its customers, including Nissei and Aoki machines, which sit among the latest generation of auxiliary equipment including robotics, chillers, dryers and the most advanced compressors available. It also has its own 3D Printing machine, for rapid prototyping, and some very sophisticated laser welding machines. Tolley believes they have revolutionised toolmaking, allowing it to produce aluminium blow-moulds in single blocks, rather than making them one at a time, and enabling it to cut out and replace any mould that becomes damaged. R&D/Leverage is also capable of manufacturing the complete tool except hardening and coatings. “There is really no-one else like us. 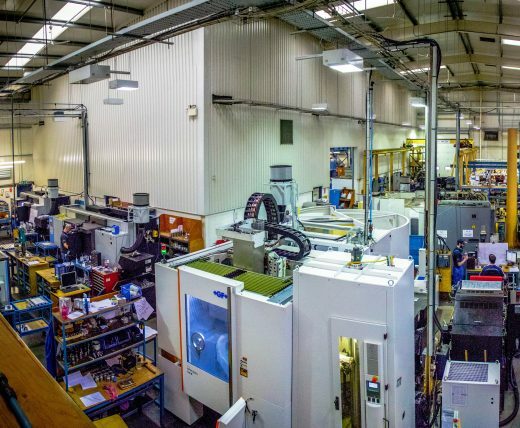 I suppose machine builders are a bit similar and in some ways we are aligned with them, but we are the only independent company that can offer the range of services we do.” Its market is Europe, China, South America, New Zealand and everywhere else its parent doesn’t operate. Around 80% of its production is exported; approaching 60% going to Europe. As an American-owned company that trades primarily with Europe, it is not surprising to find that Alan Tolley has some strong views on Brexit. “We are on course for a record for sales orders received this year. They are definitely going to increase, by around 25%,” he said. “We work in Sterling, we pay wages in Pounds and we buy goods in Sterling as well. We get paid primarily in Euros so the weaker Pound has definitely helped us, both in receipts and against some of our strongest competitors, who charge in Euros and Yen.” Which all sounds great but he is not altogether happy looking forward. He expects the amount of business from Europe to stay about the same for the foreseeable future and the opportunities to expand worldwide are becoming more manifest. But the possibility of a return to the old ways do not fill him with enthusiasm. “The difficulty with exporting is paperwork. When I travelled around Europe in the early 1990’s, I had to carry several different currencies and even the mobile phone would stop working if you crossed a border,” he said. “The single currency has made things a lot easier, the Single Market has made things easier, too.” The EU is not without its problems but, on balance, Alan Tolley would rather deal with them from inside than from out.